Before joining the Organic Center, Dr. Benbrook worked in Washington, D.C. on agricultural policy, science and regulatory issues from 1979 through 1997. He served for 1.5 years as the agricultural staff expert on the Council for Environmental Quality at the end of the Carter Administration. Following the election of Ronald Reagan, he moved to Capitol Hill in early 1981 and was the Executive Director of the Subcommittee of the House Committee on Agriculture with jurisdiction over pesticide regulation, research, trade and foreign agricultural issues. In 1984 Benbrook was recruited to the job of Executive Director, Board on Agriculture of the National Academy of Sciences, a position he held for seven years. Several influential NAS reports were done in this period on the need for and aspects of sustainable agriculture. In late 1990 he formed Benbrook Consulting Services. 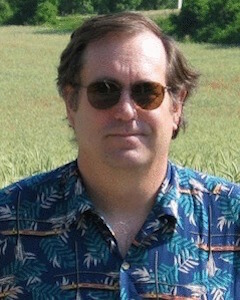 Chuck has written many reports, books, and peer reviewed articles on agricultural science, technology, public health, and environmental issues. Contact Chuck at his office in Troy, Oregon at 541-828-7918, or via email at cbenbrook@organic-center.org.